I see him now at the bow, standing all Captain Morgan-like, one leg up on the pulpit, wet hair on his face, an outstretched arm pointing to shore. 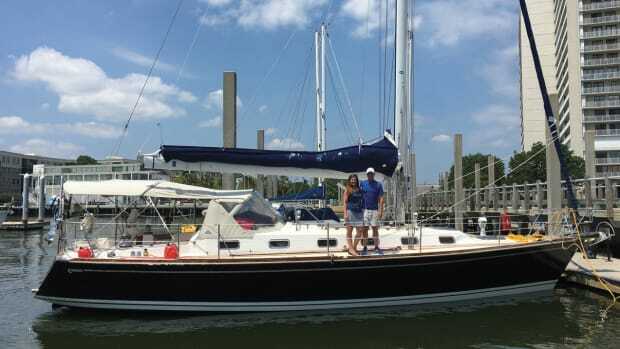 He’s sailed all the way across the Gulf of Mexico, as many of us have, to get here. Except he’s on a 16th-century Spanish square-rigger, the leader of a fleet of 11, with 1,500 new settlers to provide for. It’s Tristán De Luna coming into Pensacola Bay five centuries ago, and he’s hoping to find what we all look for after we’ve come in from a rough passage. As cruisers, we are all, in our hearts, voyagers, explorers, settlers of a certain sort. We often brave new, unfamiliar inlets to drop anchor and stake our claim on new ground, and we all feel a little voyager-blood coursing through our veins in that moment. There is a reason my partner, Phillip, and I call historic Pensacola home—the same reason De Luna settled here in 1559. After we’ve braved blue waters and are looking to settle, conquistadors and cruisers alike all seek the same things—protection, provision, prosperity and, if possible, maybe even the company of a few pretty ladies. OK, so not all cruisers are looking for pretty ladies. But we are all looking for protection. 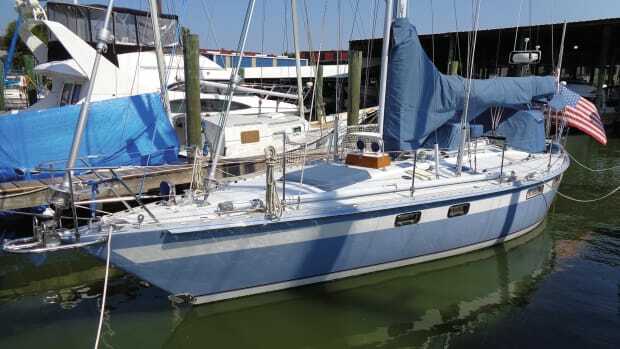 Imagine yourself as De Luna, having just crossed the unforgiving waters of the gulf from Vera Cruz, Mexico, coming in for the first time toward Pensacola Pass. You don’t have a chartplotter to guide you or any charts at all for that matter. You have no idea as to the depths beneath you or the shores that await. While the beauty of the sand and water were likely not as important to De Luna, I can see his morion helmet now, turning side to side, astonished at the brilliant white of the sands and jewel-toned green of the waters that surround him. What you and De Luna have both found at Pensacola Pass is a wide, deep, well-marked and easily navigable inlet that opens to a large, natural deep-water bay. In fact, Pensacola Pass is over 3,000ft wide, with an average depth of 30-plus feet. It is also short (1.5 miles long), easy to navigate and now lit by a 190ft lighthouse that brings you into a large, deep bay protected by the barrier islands of Santa Rosa Island to the east and Perdido Key Island to the west. The bay itself is large (over 12 miles long and two miles wide) and deep throughout, ranging from 20-50ft with little shoaling, minimal crab pots and great sailing winds, typically 12-15 knots in the afternoon. No surprise then, that on August 15, 1559, after seeing what the area had to offer, De Luna and his 1,500 followers promptly staked their claim, making Pensacola the very first European settlement in America. 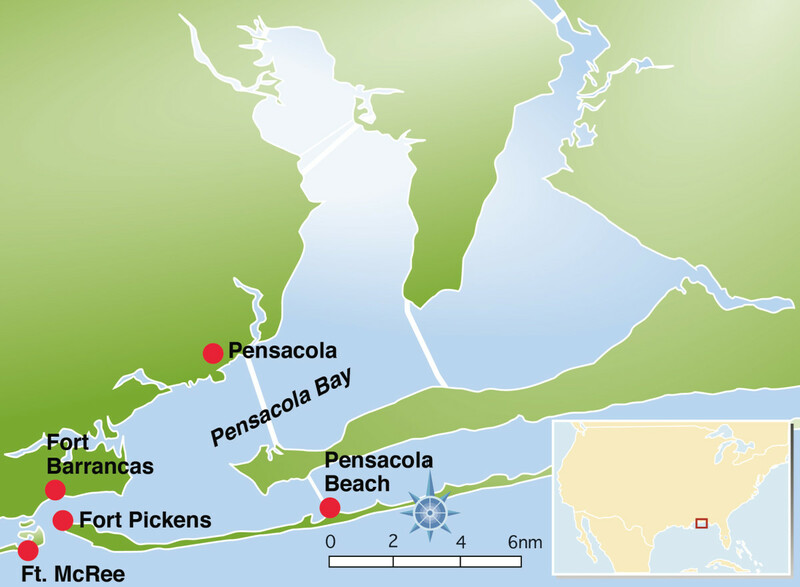 Settlers of Pensacola also recognized the natural advantage of three points of attack toward the single gulf access and erected three forts—Fort Barrancas at the Navy base to the north, Fort Pickens to the east and Fort McRee to the west—to guard and protect the bay from invasion. These same forts and barrier islands continue to attract cruisers today, offering history-rich, well-preserved state parks and plenty of exploring within a stone’s throw of a number deep, well-protected anchorages. To the west, for example, the anchorages behind Fort McRee include a deep cove that can fit dozens of boats, while to the north lies Sand Island, a little plume of sugar-white sand piled up from ICW dredging, one of the only islands in the area where dogs are permitted off-leash. Similarly, on Perdido Key, in addition to exploring the stirring remains of the old fort and climbing its remaining structures for a stunning bluewater view, you can enjoy a picture-perfect sunset stroll along the Gulf of Mexico. While to the east, Fort Pickens punctuates a long stretch of preserved seashore and remains a national historic site to this day, complete with rangers and a guided tour. However, a sailor can’t live off of beautiful beaches alone. You also need provisions and a means of putting your boat back to rights after a long stretch at sea. Luckily, Pensacola has got these as well. In the 16th century, the Spanish Crown commissioned explorer and scholar Carlos de Sigüenza y Gongora to determine how Pensacola’s natural resources could benefit the Spanish. Sigüenza subsequently described a veritable paradise, with abundant food, ample economic opportunities, numerous waterways and plenty of trees, stout and suitable for shipbuilding. And this “Spanish Jewel,” as Sigüenza called it, still provides plentiful marine resources to this day.  Among other things, Pensacola boasts its own local rigger, a sailmaker and numerous shipyards where you can have just about any kind of boat work done, as well as many where you can haul out and do the work yourself. Pensacola is also growing, especially downtown, with extensive housing being built, and many new restaurants, bars and shops opening, not to mention plenty of festivals, 5Ks, fundraisers and other events. 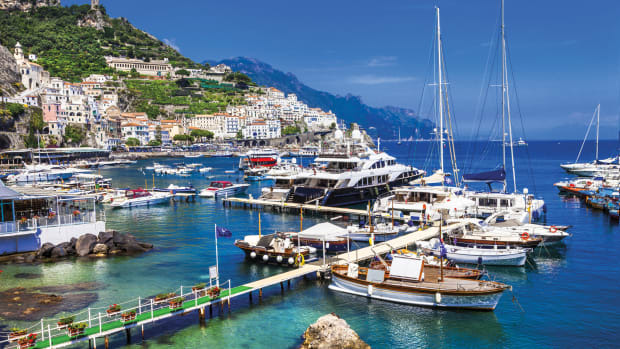 The tourism industry here also offers many opportunities for startups and entrepreneurs; while the numerous yacht clubs, events, regattas and races make this a great area for anyone who loves to sail-drink-race-repeat. Finally, if you have not yet set foot in Joe Patti’s, you don’t know what a real seafood market is. The quality, quantity and variety that JP’s stocks is nothing less than mind-boggling. Phillip and I recently bought a pound of baby octopus and broiled it up last week just because it was there, it was cheap and who doesn’t want to bite off the tentacles of a bit of mini-Kraken and snarl: Arrrgggghhh! Not only that, but the diversity that resulted from this history remains an integral part of the Pensacola of today—with the sailors plying the local waters coming from all different walks of life and ethnicities, with varying socio-economic backgrounds and skillsets. Most of the sailors and cruisers who have lived or sailed here also have a hurricane story where their boat, or a friend’s boat, was damaged or lost to a storm. But while we all watch the weather systems in the gulf during hurricane season (because unlike De Luna, now we can) and brace ourselves when it looks like one is going to hit, we always stay and even start anew when the worst happens, because Pensacola is home. I did mention ladies, didn’t I? Welcome to Pensacola Beach, a string of delightfully tacky, unrefined joints along a stunning stretch of white sand where bikini-clad women spend their days under the summer sun. And don’t worry, ladies, there are plenty of Mavericks and Ice Men out there, too, thanks to the local Navy base. Speaking of which, something else you will find in Pensacola are the Blue Angels, thundering overhead twice a year doing shows and often, unexpectedly during your afternoon day sail, seemingly putting on a breathtaking aerial exhibition just for you. 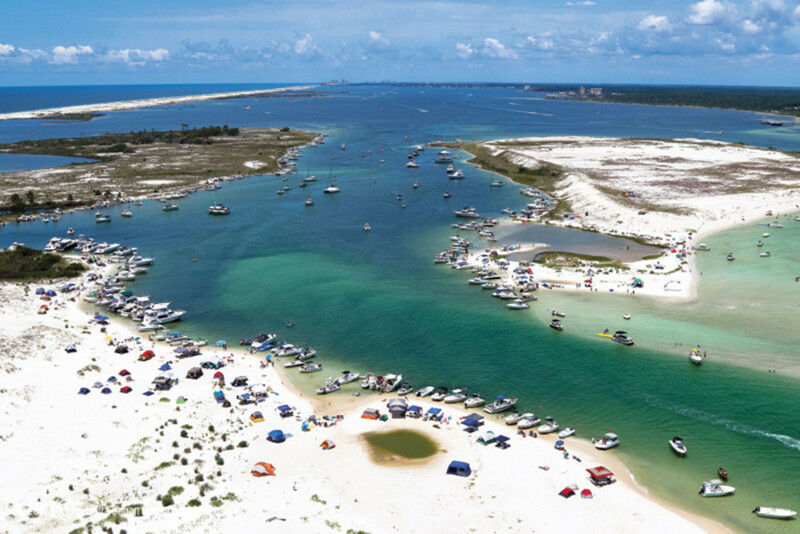 We’ve also got the Sandshaker, home of the Bushwhacker, and just a piece down the ICW, Pirate’s Cove, the (alleged) inspiration for Jimmy Buffet’s, “Cheeseburger in Paradise.” When it comes to ticking off the typical cruiser’s list, Pensacola really does offer it all. Despite years of Caribbean island-hopping, Phillip and I have met many sailors who tell us Pensacola is still one of their favorite places to cruise. Fort McRee, in particular, is an anchorage that offers everything from romantic sugar-white sunset walks along the gulf to pop-topping, big-tent-and-TV beer parties in the cove, with the first top often popping around 1000. By day, kids set-up makeshift slip-and-slides down the 30ft drop on Sand Island, while wet, sandy dogs gallop goofily after even wetter, sandier tennis balls. At night the beach evolves into campfires and marshmallow roasts. It’s a place you’ll want to visit every weekend, along with your 10 closest cruising friends. And if they can’t make it, you’ll soon find yourself getting to know any number of the other sailors who come to visit just about every weekend; which, in turn, will provide you with an endless supply of helping hands should you ever run into a boat issue, need to bum some coffee or, more importantly, rum. Of course, while every weekend from March to November at Fort McRee is like an unplanned, perpetual island party, that doesn’t mean your time in Pensacola has to always be a party as well. 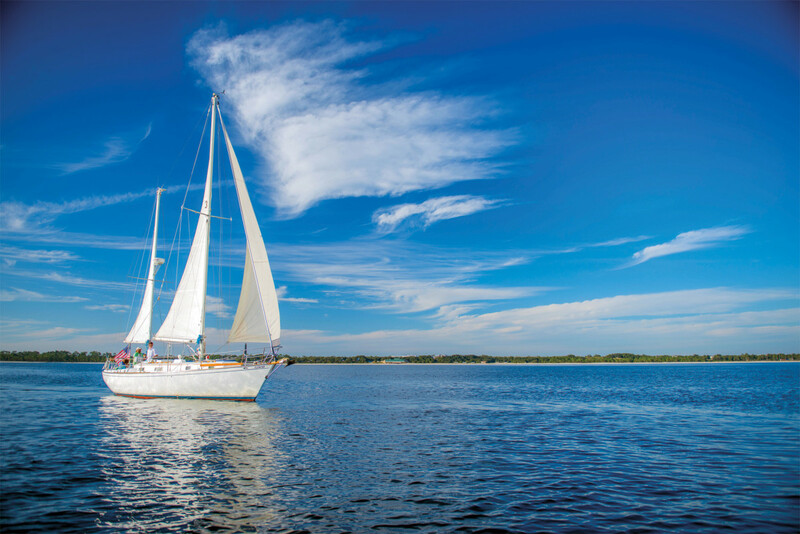 The deep waters of Pensacola Bay offer access to a dozen different anchorages in protected waters, ranging from the popular to the quiet and serene. There are also many honey holes behind the long barrier islands, both to the east and west of Pensacola Pass, that will afford you the entire anchorage to yourself for days. 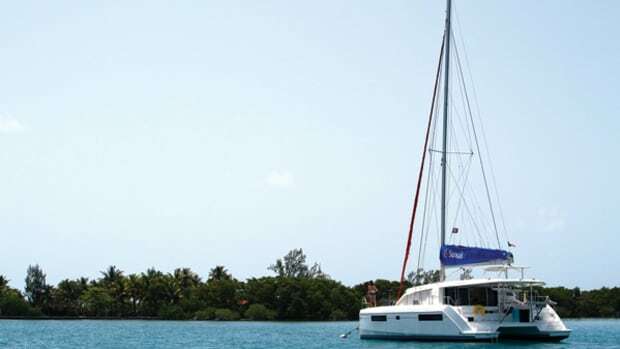 Shower topside, skinny dip at night, lounge on deck and read all day if you like, with only bird calls and dolphins’ breath at your ear. Parties for two are totally attainable in Pensacola as well. 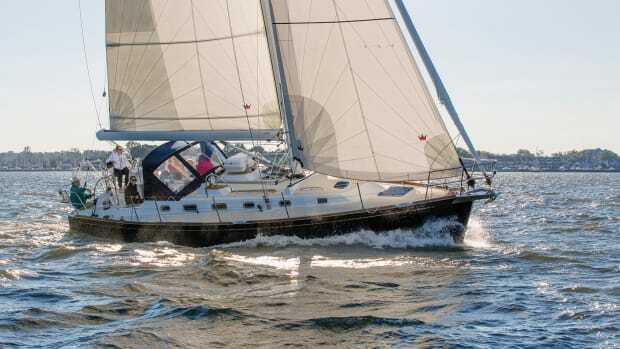 As for those looking for a little friendly competition, the Pensacola Yacht Club offers Thursday night races every week during which sailing chums old and new start with a beer, end with three and do a little racing in between. Longtime place-holders rib the newbies, while lighthearted roasting and trash-talking keep things fun and friendly. If you like to race and are happy to crew for brew, you’ll find your racing calendar full in no time. 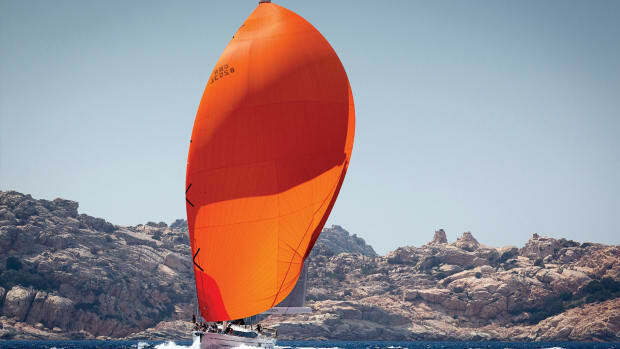 PYC also hosts two to three-weekend regattas each month, and—for those in search of bluewater bragging rights—a pair of 400 to 500-mile races, swapping between such destinations such as Cuba and Islamorada. For families, PYC also offers the unique benefit of sailing camps, lessons and a seemingly endless supply of lasers and sunfish for your up-and-coming swabs and squirts to exhaust themselves while honing their skills on the water. And this is just PYC. Pensacola Beach Yacht Club and The Point Yacht Club also host a handful of regattas every season. Race for the Roses, find yourself in Lost Bay, meet some Fast Women, hoist the Commodore’s Cup or indulge yourself in a fine display of Bikinis. These are all annual local regattas. And don’t forget to mark your calendar for the quarterly yacht club weekend raft-ups (often hosted near Fort McRee) and plan to pimp your boat out for the Christmas Parade in December. 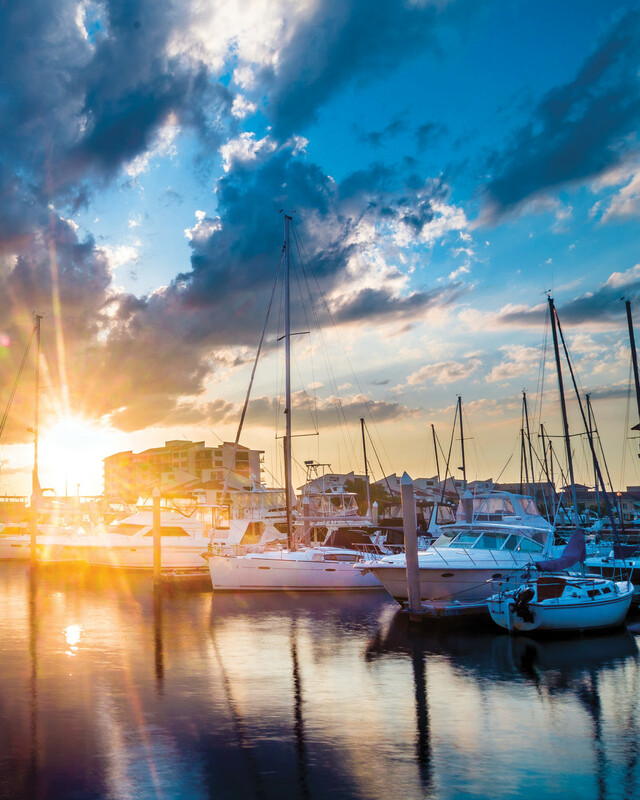 So, are you ready to start cruising Pensacola yet? If not, then ponder this: legend has it Pensacola was named after the Indians who inhabited it before De Luna, the Panzacola tribe, meaning “long-haired people.” Shaggy-haired boat bums, these were your people!